Get to know the authors of our books, manuals, tip cards and programs on brain injury. You have permission to publish these interviews in your newsletters as long as you cite the web page as the source. Our authors are experts in their field of brain injury and many speak at conferences and workshops. If you need contact information, just call us at 919-556-0300. We are always glad to recommend speakers. Marilyn Lash Interviews on Brain Injury Radio Network – Tonight! Tonight at 10 p.m. eastern time, Kim Justus is interviewing Marilyn Lash on the Brain Injury Radio Network. Hosted by Kim Justus, this is a great forum for anyone living with the challenges of brain injury, whether you are a survivor, a family member, caregiver, or service provider. Nearly 25 years after a semi-truck left him with a traumatic brain injury or TBI, Mike Strand is a survivor who is thriving. The accident put him into a coma for 10 days, and he later underwent a year of grueling rehabilitation therapy, during which he relearned how to do just about everything, including walk, talk, read, and write. Before his injury, he says, he wasn’t particularly motivated. But today, he is a high achiever who continually challenges himself to keep growing and improving, physically, mentally, and emotionally. He has come to see his brain injury as an opportunity to redesign himself and his life, and he makes the most of it. cared for her husband, Alan, for seven years after he sustained an anoxic brain injury resulting from a heart attack. She’s been involved in the brain injury and family caregiver communities since 1998 as a support group facilitator, educator and advisory board member. Her compassion, empathy and sensitivity to the stresses of caregiving are evident in her speaking and writing. Whether you are a family member, clinician, or advocate, you will find her direct approach enlightening and applicable to the realities of caregiving. In Barbara Stahura’s interview with Janet, you will learn more about how caregivers can avoid compassion fatigue. Traditional therapies after brain injury too often do not address changes in intimacy and sexuality when a spouse or partner has a TBI. This leaves couples struggling on their own at home and contributes to marital stress. Dr. Taryn Stejskal is one of the few clinicians who has specialized in counseling couples as they deal with the aftermath of brain trauma. In this interview with Barbara Stahura, Dr. Stejskal shares how she became interested in helping couples deal with changes in intimacy and sexuality and her perspective on the importance of rebuilding and sustaining personal relationships. Author of several tip cards on this topic, she is a popular author and speaker. Coping with life after brain injury is a complex process for survivors, family members and caregivers. In Barbara Stahura’s interview with Dr. Samantha Backhaus, she explains both the principles and use of her award winning program and workbook, Brain Injury Coping Skills. 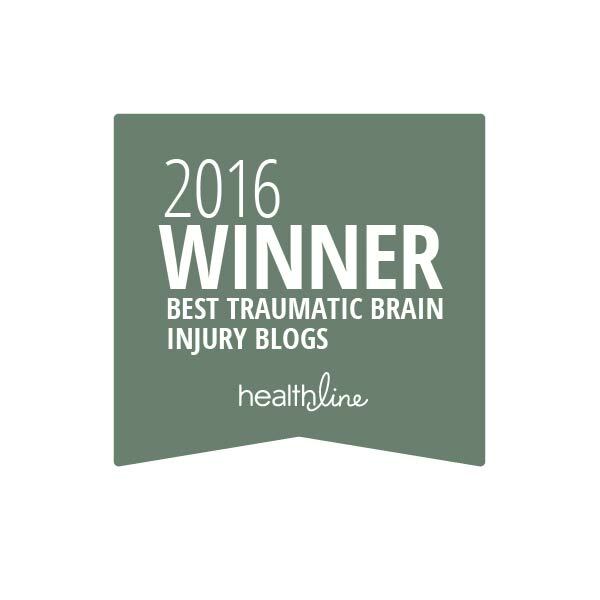 http://www.lapublishing.com/Brain-Injury-Coping-Skills/ As a rehabilitation psychologist, Dr. Backhaus has witnessed the emotional trauma of families and survivors that accompanies brain injury. Her innovative approach provide both solid information to educate survivors and family caregivers as well as tools for developing coping strategies. When Parent TBI(Blast Injury, PTSD) affects Children, What—and How—Do We Talk with our Children? When a parent has a brain injury, blast injury, or PTSD, the family’s children and teens are often neglected in the chaos and left in the dark about the reality of the situation. This is not intentional; caregiver parents are already overwhelmed and frequently do not even understand the traumatic situation themselves. However, kids need and deserve to be told the truth, in an age-appropriate way, and to receive help in coping with the injury’s impact upon them and the entire family. When allowed to voice their concerns and fears without judgment, and be supported and respected throughout the process, they can better weather the storm and avoid many of the pitfalls that can result from ignorance of the truth. Where can parents, professionals, or other concerned adults turn to find the right information they can provide to children and teens? You’ll find it in Explaining Brain Injury, Blast Injury and PTSD to Children and Teens by Marilyn Lash, MSW, Janelle Breese Biagioni, and Tonya Hellard and published by Lash & Associates Publishing/ Training. The challenges that survivors face generally correspond to the severity of their injury. As injury severity increases, many are substantially challenged in engaging in and maintaining meaningful relationship, functioning in competitive employment, and learning to accept and love themselves as they are. This self-acceptance piece is huge because if it doesn’t happen, it is often very difficult for the survivor to move beyond significant despair to make adaptive progress. Drs. Bell, Johnson, and myself are very much in agreement on these concerns. Barbara Stahura, Certified Journal Facilitator, discovered the power of personal journaling years ago and now shares her knowledge in workshops that provide pathways to personal growth and self-empowerment. Her book, After Brain Injury: Telling Your Story, grew from her long-running journaling group in Tucson, AZ. She has also facilitated journaling events for the National Guard, family caregivers, writers, equine-facilitated experiential learning groups, and others. She is an award-winning author and certified instructor of Journal to the Self®. She now lives in Indiana with her husband, a survivor of a traumatic brain injury. You can learn more about Barbara at her website: http://www.barbarastahura.com. In the meantime, here is her interview. Here is our second installment of interviews with our distinguished authors. This month we’re featuring our concussion guru, Phil Hossler. He is the certified athletic trainer at East Brunswick High School in East Brunswick, New Jersey and has authored 3 texts for high school athletic trainers, parents and athletes.